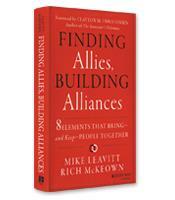 The benefits and key elements of a value alliance. The differences between conveners and leaders. The importance of finding representatives of substance. How to brand your alliance as a "northbound train." How to recognize and use collaborative intelligence.